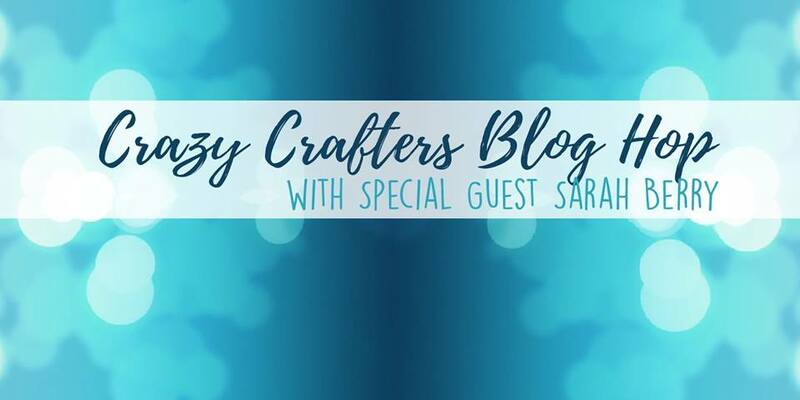 Today I'm hopping with the Crazy Crafters & special guest Sarah Berry UK Demo. I just loved this sweet card Sarah made with the Wonderful Moments stamp set & I have also used this stamp set for some wedding cards I made recently. This is Sarah's card. I made a few similar but stepped up versions. The background is made with the Spritzer with a mix of about half full of Isocol (rubbing alcohol), 8 drops of Gorgeous Grape ink refill & a good drop of Frost White Shimmer Paint & give it a good shake each time before you use it as the paint settles to the bottom. 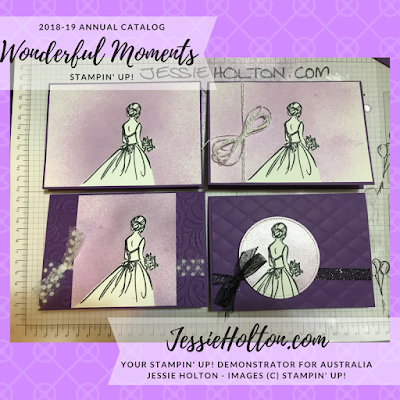 I have used Gorgeous Grape cardstock bases with Whisper White top layers, stamped in Momento Black ink. 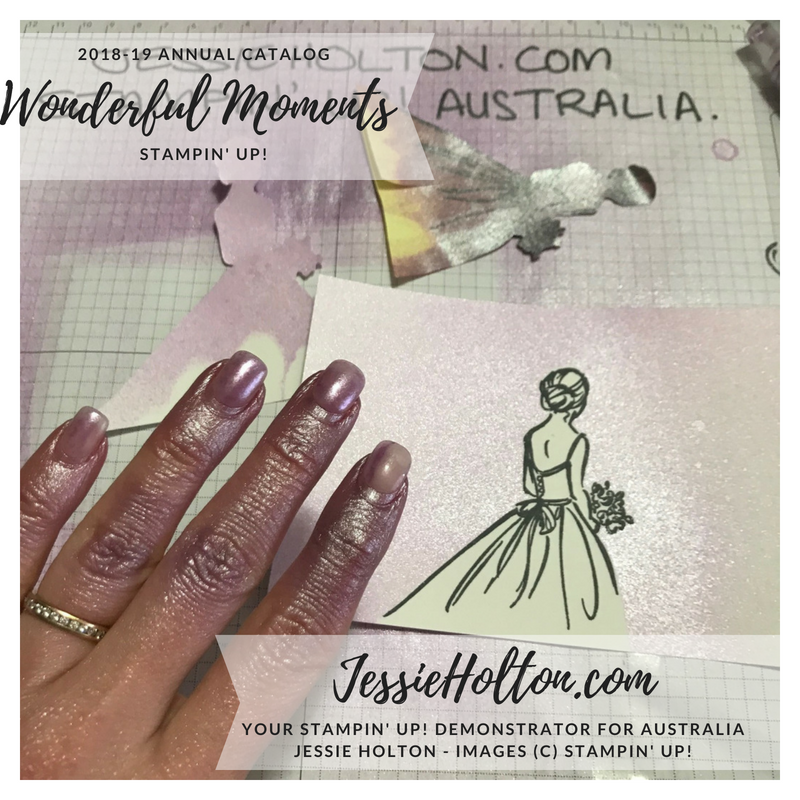 The image is from the Wonderful Moments stamp set. The second card has a billy bow made of Silver Bakers Twine. 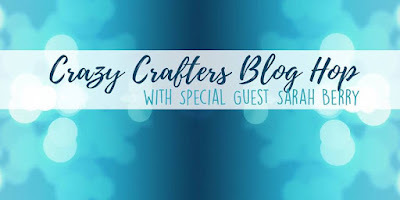 The third uses the Swirls & Curls embossing folder & White Polka Dot Tulle. The fourth uses the Tufted embossing folder, Black Glitter Organza & Stitched Shapes dies. I have made a mask by stamping the image onto a post it note & then fussy cutting around it, very close to the line. I had a lot of fun making my samples & managed to spray everywhere, but the paint came off my hand really easily with a little soap & warm water.